Winter is near and the coal is burning, covering the Balkans in a toxic smog and turning its cities into some of the most polluted on the planet. While hundreds of countries gathered at the COP24 climate summit in Poland this week. Pollution rates throughout the Balkans captured alarming figures in early December. On Tuesday, the Macedonian capital - Skopje - became the third most polluted city in the world, while Sarajevo was fifth, according to AirVisual monitoring. 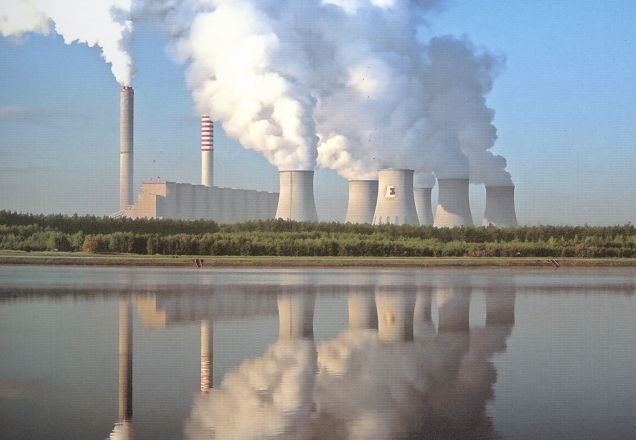 Pristina, the capital of Kosovo, which relies on two coal-fired power stations for more than 95 percent of its electricity, was not far behind in the ranking. Each year, Skopje and Sarajevo are covered by a dense gray fog. According to a UN report in October, it was announced that fossil fuel emissions should be reduced in the next 12 years to limit global temperature growth. But Balkan governments are somewhat hindering Europe by boosting coal investments in order to build new power plants across the region. The five Balkan coal cities are among Europe's most endangered and polluted cities, according to a 2017 World Health Organization (WHO) report. They include Tuzla (Bosnia), Pljevlja (Montenegro), Skopje, Tetovo and Bitola (Macedonia). Economic expenditures are high in a poor region, with little extra money to save. According to a WHO study, pollution has cost the Western Balkan countries more than $ 55 billion in 2010.It also caused more than 36,000 premature deaths this year throughout the region. Since then has been no major effort to curb pollution. The Macedonian Ministry of Health announced this Winter the distribution of masks for 43,000 chronically ill people. While In Bosnia, the polluted air cuts annually 44,000 years of life from the nation's population, according to a UN report of 2018. It pays the poor nation nearly a fifth of its GDP through lost work and school days, plus health spending and fuel costs, according to UN report. At the beginning of December, the air had an average of 320 micrograms per cubic meter of fine particles.